Get hooked at the library! 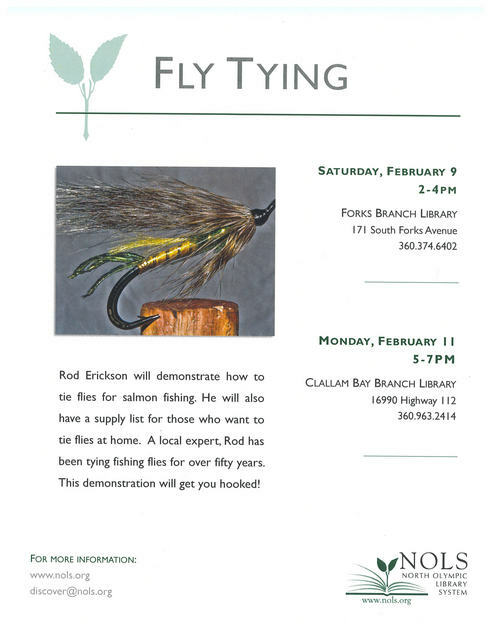 The Clallam Bay and Forks Branches of the North Olympic Library System (NOLS) will host Fly-Tying Demonstrations presented by local expert Rod Erickson. Erickson will demonstrate how to tie flies for salmon fishing as well as provide a supply list for those who want to tie flies at home. A local expert, Rod has been tying fishing flies for over fifty years. Demonstrations will be held at the Forks Branch Library on Saturday, February 9 from 2-4 pm, and again at the Clallam Bay Branch Library on Monday, February 11 from 5-7 pm. The Clallam Bay Branch Library is located at 16990 Highway 112 in Clallam Bay. The Forks Branch Library is located at 171 South Forks Avenue. 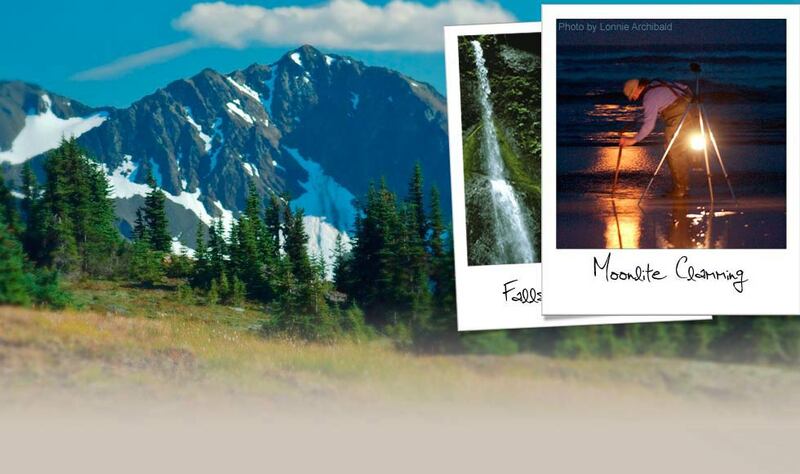 To learn more about this and other library events call 360.374.6402, send an email to Discover@nols.org, visit www.nols.org, or call the Clallam Bay Branch Library at 360.963.2414 or the Forks Branch Library at 360.374.6402.